Digital OrthoImagery is the product of image rectification to the ground control and terrain model resulting in an image map, not just a photo. Producing a photo-quality digital image of surface features in their geometrically corrected, true map projection, tying each pixel in an image to its true Earth location, the user is enabled to make photo interpretation decisions from within an office workstation, allowing for better analysis and delineations. With experience in the private and public sectors, AXIS delivers OrthoImage tiles generated from both existing and new source material collected from LiDAR, film and digital acquisition formatted for use in ArcView and LizardTech MrSID environments. All digital orthoimagery tiles are geometrically and radiometrically seamless and properly color balanced to spectrally represent land content as naturally as possible. Not only do final deliverables adhere to AXIS’ standard (and strict) acceptance criteria for digital orthoimagery, we as a policy observe the client’s specifications and requirements to an existing digital orthoimagery tile size and layout structure. 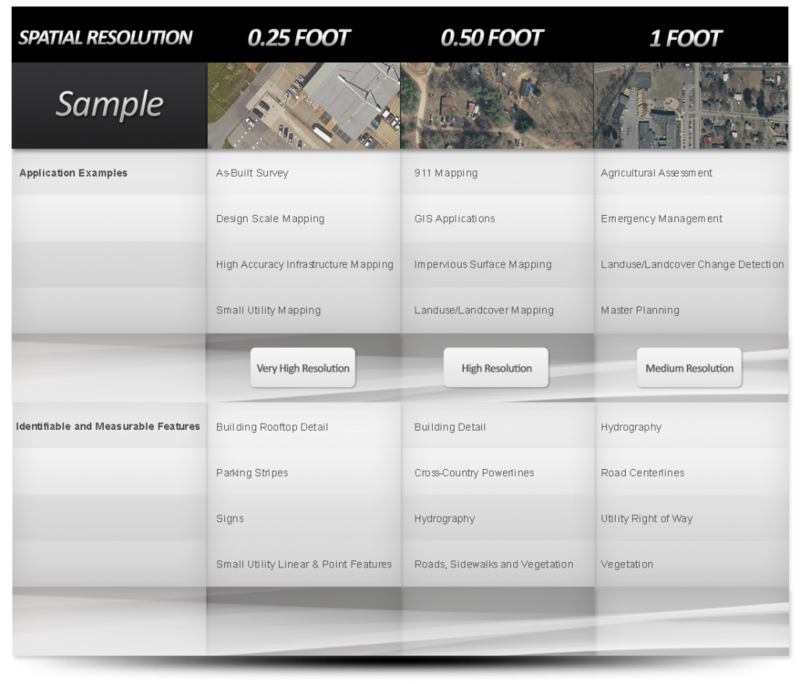 Contact Us to discuss your next orthoimagery mapping project.